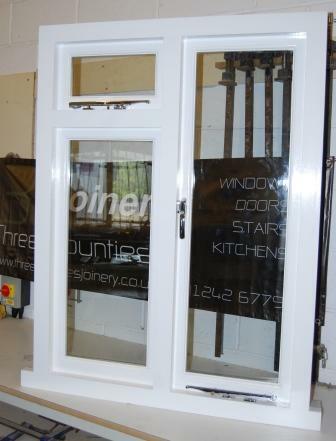 Manufactured from original windows or detailed plans, Three Counties Joinery produce windows to meet current building regulations and to satisfy listed building control. 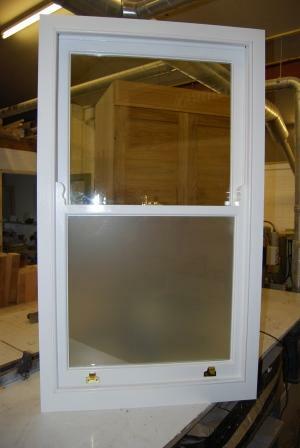 Our sash windows, whether they be full boxes or just a sash, are made by traditional methods subtly hiding modern twists. Single or double glazed with draught exclusion beads means you feel the benefits of a modern window, thermal properties, noise reduction and no more rattling in the wind. Casement windows, storm proof or flush frame, benefit from aquamac 63 draught exclusion. They can also be single or double glazed. It may be possible to upgrade casements without the need of changing the frame. Most of our windows are made from Douglas Fir or idigbo due to their outstanding weathering properties. They can however be made using all types of timber. 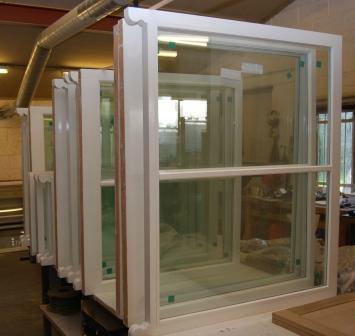 We offer a full factory fisinhed decoration service, windows sprayed using the lastest paint for quality finish.